Wondering how to achieve multiple goals using our natural assets of outdoor space and the proclivity of kids to learn through engaged learning, play and exploration? This video, produced by the International Green Schoolyards Alliance, features leaders from around the globe talking about the benefits of green schoolyards. How many times have you watched a child sit in a classroom chair, fighting the urge to move? It strikes a visceral chord in many of us who remember that awful tension that crept up through your neck and out through your arms. Sometimes it felt like you wanted to scream. A recent article describes how school settings have continued to restrict movement in children and outlines why heavy gross motor play is essential to overall development. It turns out that the strong, undeniable urge to move that we all remember helps children get what they need every day. Movement through play–especially play rich in sensory input–is one of the primary means for children to learn and achieve appropriate developmental milestones. How can we better understand and address the ways our school schedules, environments and adult-centric views limit the opportunity for children to get what they need? Ever heard of place-based education? Now you have. Imagine you take a group of fourth graders out into the neighborhood around their school. You begin to tell them about the animals that live in the neighborhood. At least three hawk species, four owl species, any number of migratory songbirds, and a world of trees just waiting to be identified. You tell the kids that if they followed the path of rain water that runs into the storm sewer, they would wind up in Lake Mendota. It’s hilly, and kids are winded after walking up a big hill. Old red and white oaks reach out over ranch homes, dwarfing locusts and maples planted when the homes went in. You help them imagine this land before houses were built. For a hundred years, the land was farmed. Before that, oak savannah filled the space with high, swaying grasses and sprawling, sturdy oaks. “Some of the oldest oaks are 150 years old,” you say, looking up. “They were here far before people ever dreamed of building houses on this land. 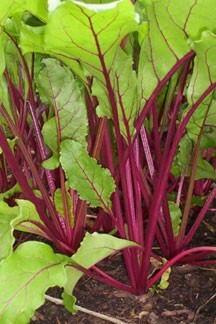 In fact, they could have been saplings during the Civil War.” Another cascade of questions. New eyes on the places they live in and walk through every day. Place-based education captures what is already in a place and helps students generate knowledge, rather than consume it. Teachers act as guides or co-learners, changing the dynamic of power among learner and educator. Students direct the inquiry, generating fodder for real-world problem-solving. Teachers who practice place-based education indicate that students feel valued. They come to a far deeper understanding of place and its importance in the life of the community. And evidence suggests it works. Place-based pedagogies in early childhood and primary school settings: Can they make a contribution to community sustainability? Resources to mull this winter! If you’re looking for summaries of the GROW pilot with fifteen participating middle and elementary schools, look no further! Here is Madison Metro School District’s web page. 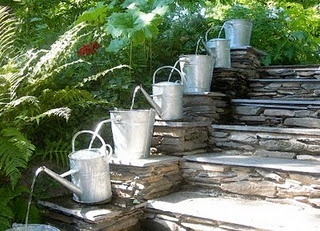 And the list of resources for garden design! 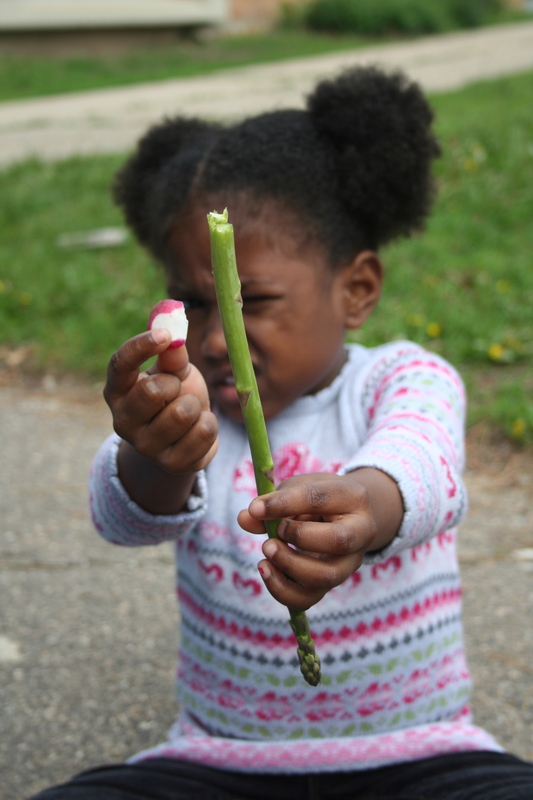 If you’re looking for news about what’s going on in garden-based learning across the state, check out the Wisconsin School Garden Initiative. Or, if you need a few ideas to mull this winter, check out the GROW Coalition’s Design Ideas for children’s outdoor learning. Raw asparagus snacks for the Kindergarten set at Muir Elementary. Muir Elementary’s hard-working students got a boost from volunteers at CUNA Mutual. Staff from the Madison Community Foundation also lent a hand. 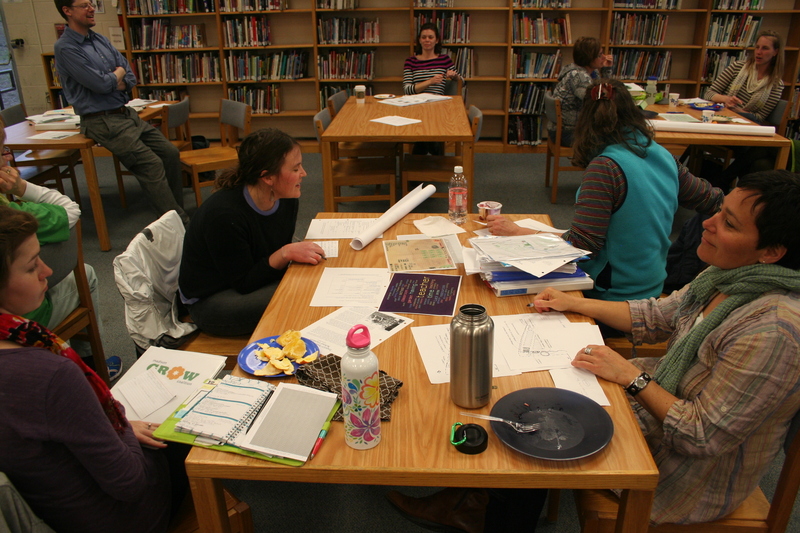 Teachers from five GROW Pilot Schools meet as part of a professional learning community. 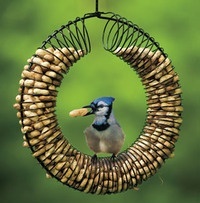 They build skills and learn strategies to engage students in active, hands-on learning in a garden or outdoor setting. 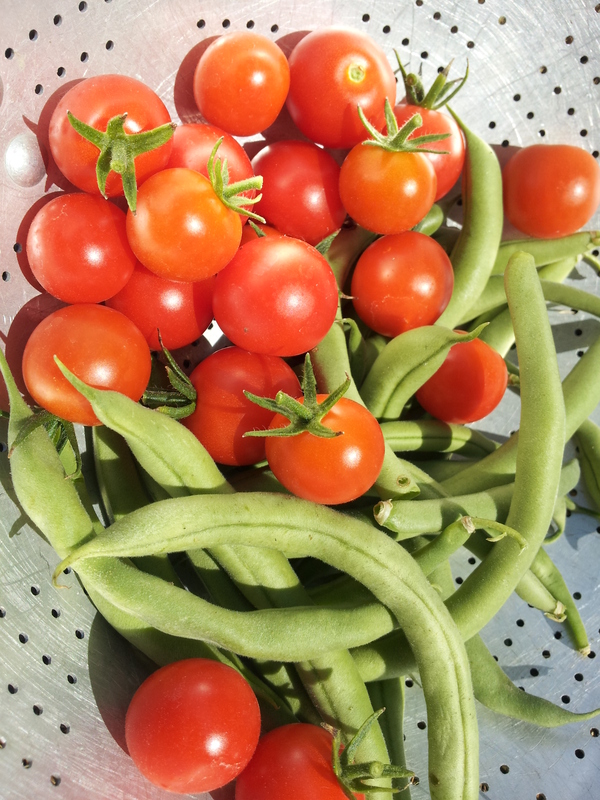 Kids grow the BEST food! Check out the 2014-2015 application for the Growing Outdoor Classrooms Pilot project! The goal of this three year project is to create 15 model schools that integrate outdoor learning and garden based education in a holistic way across academic content areas. Ten down, five to go! This spring, GROW will be accepting applications for Year 3 of the Growing Outdoor Classroom Program. By submitting an application, your school, if selected, is committing to fully participate in the Growing Outdoor Classrooms Program. This year-long program begins May 2014. All schools will be expected to have completed their outdoor classrooms by June 2015. Any public elementary and middle school in Dane County is eligible to apply. Applications are due April 11, 2014 by 5:00 p.m. 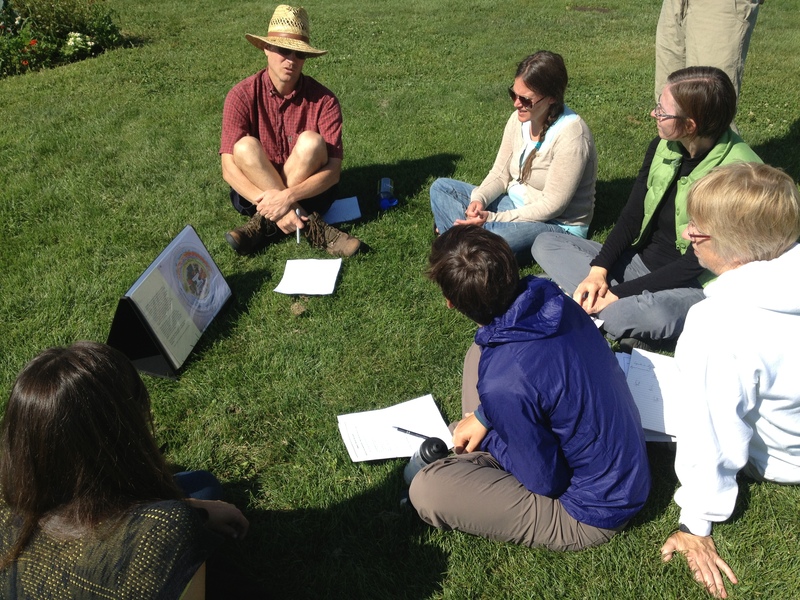 Engage and educate their colleagues and community about the connections between learning, outdoor classrooms and sustainability. An outdoor classroom build event(s). Share their knowledge and skills regarding outdoor learning with their colleagues a minimum of one time during the school year during, for example, at a staff meeting or during Professional Collaboration Time. Implement 1 other sustainability project at the school, in support of the themes addressed in the outdoor classroom. Send 2 representatives to monthly 2-hour sessions on outdoor classrooms and sustainability. One of those attendees must be a teacher. School representation is required at 7 of the 8 sessions. 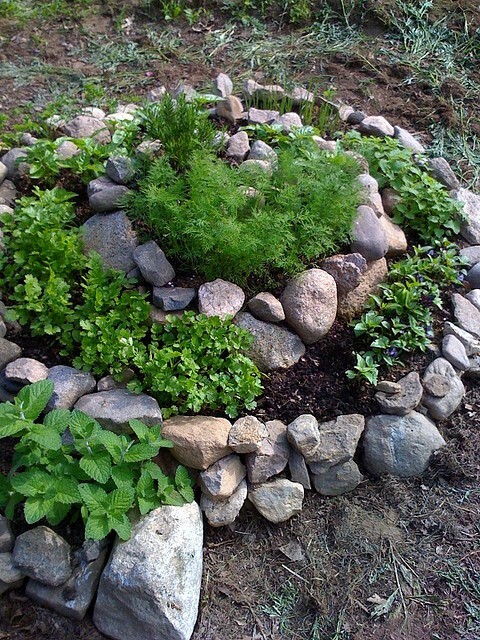 Send 2 Green Team members to a 20-hour garden-based learning Summer Institute during the week of July 28- July 31, 2014. One of those attendees must be a teacher. Actively communicate with the school and broader community about the Growing Outdoor Classrooms Program (for example, through e-mails, Facebook, newsletter articles, press releases). Support to create or enhance their outdoor classroom design. A facilitated workshop to develop a Community Engagement Plan. Substantial material assistance ($8,000 value) for the outdoor classroom. Monthly educational and networking events, called Sustainability Sessions, addressing outdoor classrooms, learning and sustainability. A one-week garden-based learning Summer Institute scheduled for July 29-July 31, 2014 for 2 Green Team members. On-going support from the GROW Coalition. 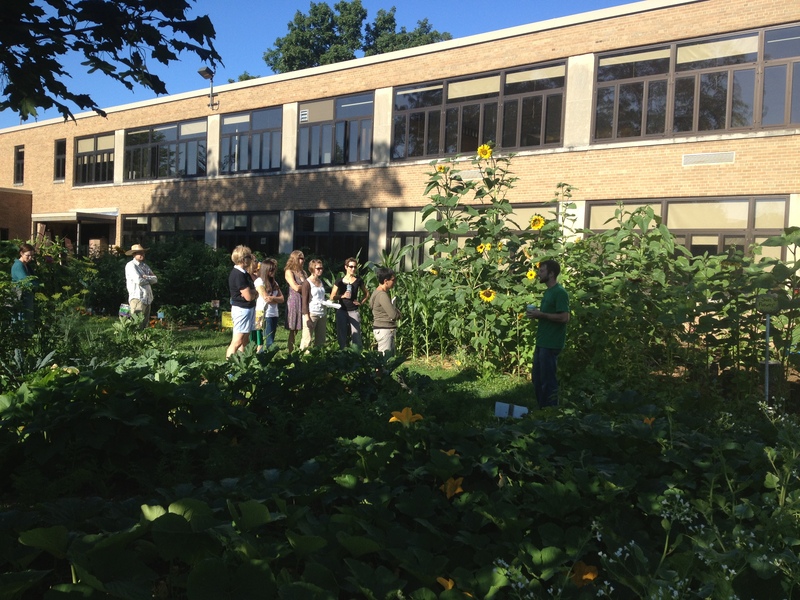 Last week, two GROW schools hosted a whole-staff Garden-Based Education Professional Development. They were held at Toki MS (Mary Goonan from SHMS presented) and at Muir Elementary (Susie Hobart and Martha Stryker presented). 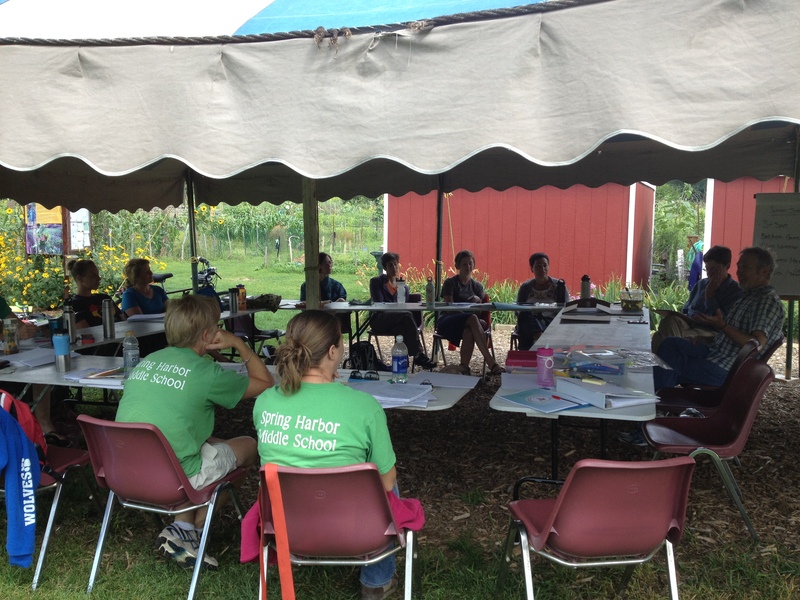 Thank you to Toki and Muir for fitting Garden-based Education into your precious Professional Development schedule! Muir held their PD outside in the garden and woods (it was such a beautiful day!!). Teachers first explored the garden/woods and then answered three questions on post-its in regards to teaching outdoors: 1) What I’m doing already. 2) What I’d like to do. 3) What I need/fear. These responses will help the PD team plan for how to best support teachers in outdoor education. Susie followed up by asking teachers to complete an Outdoor Classroom Curriculum Web to help Muir’s staff make connections between their curricula and the garden. Martha ended the session by demonstrating a fun outdoor “Morning Meeting” activity. The energy and growth demonstrated by this professional learning community is palpable, particularly when they gather outdoors! Kudos to all. Five schools awarded GROW funding! Schools recently selected for the 2013 – 2014 Growing Outdoor Classrooms Program are Lapham Elementary, Orchard Ridge Elementary, and Sherman Middle School in Madison as well as Prairie Elementary in Waunakee, and Marshall Early Learning Center in Marshall. As children returned to class last week, five area elementary and middle schools greeted their students with a new and wild kind of learning experience – an outdoor education. It’s part of an innovative program led by the GROW Coalition (Grass Roots Outdoor Wonder) to promote outdoor learning and sustainability through school gardens and other natural spaces. “Growing Outdoor Classrooms,” the program aims to incorporate garden-based learning into K-8 curricula in Dane County schools. 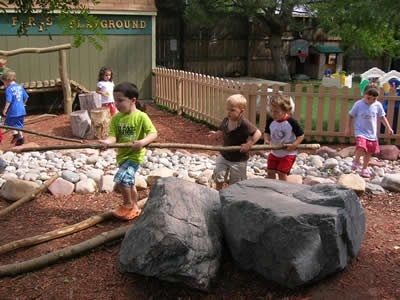 The schools selected for the 2013 – 2014 Growing Outdoor Classrooms program are Lapham Elementary (Near East Madison), Marshall Early Learning Center (Marshall), Orchard Ridge Elementary (West Madison), Prairie Elementary (Waunakee), and Sherman Middle School (North Madison). With major multi-year funding from the Madison Community Foundation, the selected schools each receive $8000 to build or expand an outdoor classroom or school garden. 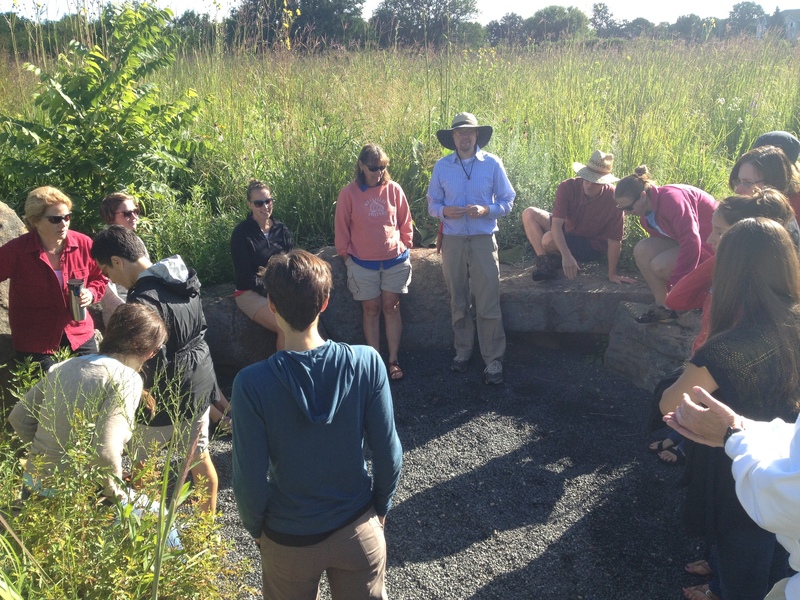 The GROW Coalition provides program support and expert resources for the design and development of the outdoor learning experience, and Sustain Dane facilitates complimentary sustainability workshops and school-based sustainability projects. The EPA provides additional funding through a Climate Showcase Communities grant. “This program is holistic and innovative in its approach to community-supported curriculum development around sustainability,” says Julie Jarvis, Sustain Dane Director of Sustainable Schools Initiatives. Jarvis notes that a growing number of schools across the nation are recognizing the educational and health benefits of incorporating sustainability into their curriculum and operations. Outdoor classrooms, whether a vegetable garden, a rain garden, a woodland or a prairie, are a cornerstone of that effort, supporting and engaging students, especially those facing academic challenges. 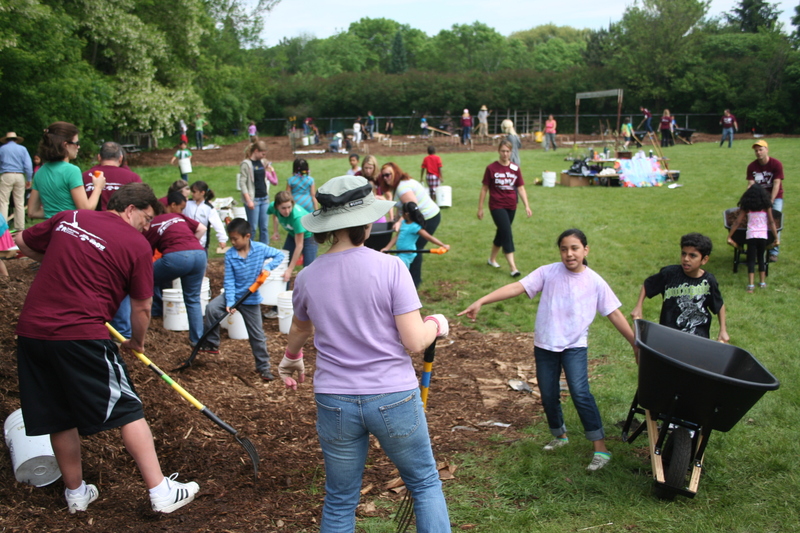 Last year, in the first year of the program, nearly 2,000 students at five schools in the Madison Metropolitan School District engaged in school-wide design exercises, “garden nights,” garden-based class projects, and all-out garden build days. Leading businesses in the region got involved. CUNA Mutual Group, an MPower Business Champion, joined forces with Muir Elementary School to build a 5,000 square foot garden. Muir staff, students, parents, community volunteers and 100 CUNA Mutual Group employees laid compost, weed barrier and wood chips on paths in and around a garden constructed on school grounds.